Institutional Investor is delighted to present our first Future of Index Investing Symposium on Wednesday 12th September at the Jumeirah Carlton Tower, London. The event will bring together asset allocators from across the investment spectrum to discuss, and challenge, the established views and practices in index and ETF investing. 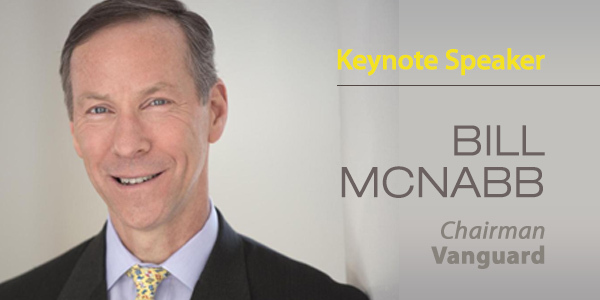 The agenda features a keynote address from Bill McNabb, Chairman of Vanguard. With some commentators suggesting the investment industry may have hit “peak passive”, this symposium will explore the key risks and opportunities facing investors. What are the broader unintended consequences of passive investing and ETFs? Are investors too concentrated when it comes to allocating to certain indexes or index providers? This private, by-invitation-only meeting is designed to encourage discussion on best practice between senior asset allocators from wealth managers, portfolio managers, traders, institutional investors, investment consultants, market makers, index providers, brokers and ETF issuers. Please view the agenda for a full list of session topics. A Knightsbridge establishment for over 50 years, Jumeirah Carlton Tower is a renowned five-star hotel in central London. Enjoy stunning views of the London skyline, close proximity to Knightsbridge designer shopping, access to private gardens and tennis courts and one of London's most exclusive health clubs, The Peak Health Club & Spa.